Join Chelsea Clinton's Instagram Takeover For Haiti! For today and tomorrow, the former First Daughter is traveling through the island nation as part of a Clinton Foundation visit. Beginning July 28 through July 29, Clinton Foundation Vice Chair Chelsea Clinton and Clinton Foundation President Donna Shalala have been in Haiti, where The Clinton Foundation has been actively engaged since 2009. After the devastating 2010 earthquake, President Clinton formed the Clinton Foundation Haiti Fund and raised $16.4 million from individual donors for immediate relief efforts. Since 2010, the Clinton Foundation has raised a total of over $30 million for Haiti, including relief funds as well as funds for projects focused on restoring Haiti’s communities, sustainable development, education, and capacity building. Now in its seventh year, CGI’s Haiti Action Network has a significant focus on creating sustainable jobs and encouraging investment in the country. 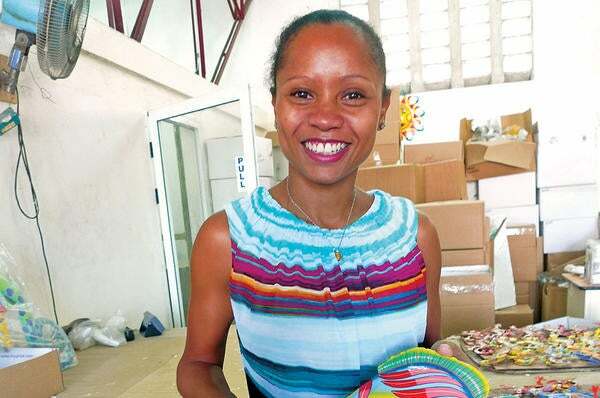 Today, in a first, Chelsea Clinton is talking over The Clinton Foundation’s Instagram account with visuals of entrepreneurs such as Magalie Dress, co-owner of Caribbean Crafat, and other stories from Haiti we seldom see in mainstream media. Want to join to share and spread the word of Haiti’s progress? Visit @ClintonFoundation on IG and haiti.clintonfoundation.org.